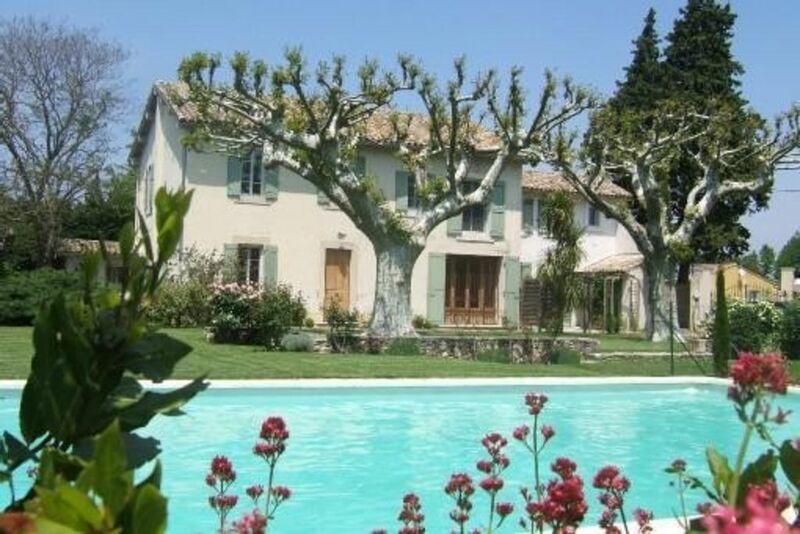 Entre Alpilles et Luberon, au coeur de la Provence, proche de Saint-Remy de Provence, d'Avignon ou de Cavaillon, la maison est mitoyenne au mas des cyprès construit au 19 siècle. Vous pourrez profiter du jardin et de la piscine ( 12 x 6 ) au sein de la propriété de 1800 m2. La maison est climatisée et comporte 2chambres, 2 salles d'eau et 2 WC indépendants. Des chaises et table de jardin, des transats et deux bicyclettes adultes sont à votre disposition. Deux vélos adultes : un vélo homme et un vélo femme. Les équipements personnels ( casques, ...) ne sont pas fournis. Les propriétaires déclinent toute responsabilité en cas d'accident avec les vélos. Les cours de tennis de Saint-Andiol sont accessibles aux locataires sous condition de réservation et de paiement. The house/apartment was even better than we had expected. Lovely finishings and everything we needed for our stay. We were 2 adults with our 9 month old baby. We even had a high chair, baby bath, bottle warmer if needed and a lovely cot, all set up and ready for us on arrival! Our hosts were very friendly and were there to welcome us and showed us around, provided details on how to use everything and where things were. The fridge had water and a bottle of wine to welcome us but since it was late, we asked for some milk and the hosts kindly provided some for us. We had more than needed, a shower just off the main bedroom downstairs and a sink and a toilet downstairs also, with a bathroom off the upstairs bedroom too. Very handy with children! It is a five minute stroll into town with a few boulangeries for daily bread and pastries. The restaurant/pizzeria in town is also lovely, we had pizza from there twice as takeaway and ate once in the restaurant on the terrace. We felt very at home in the house and like nothing was too much trouble for our hosts. If we needed them we knew where to find them but we were left in our peaceful location to our holiday on our own. The garden is lovely and the pool too. Plenty of space for our baby to crawl around under the trees. We would definitely return. Thank you Michel and Liliane. We are really please that you enjoy your stay at Le Mas des Cyprès. We look forward welcoming you again. Best whishes for you and the baby. This place is worth a visit - a clear recommendation. Les draps, les serviettes de toilette, le linge de maison, sont compris dans le prix indiqué. Le ménage de fin de séjour est facturé 60 € si le locataire ne souhaite pas l'effectuer lui-même avec les équipements fournis.